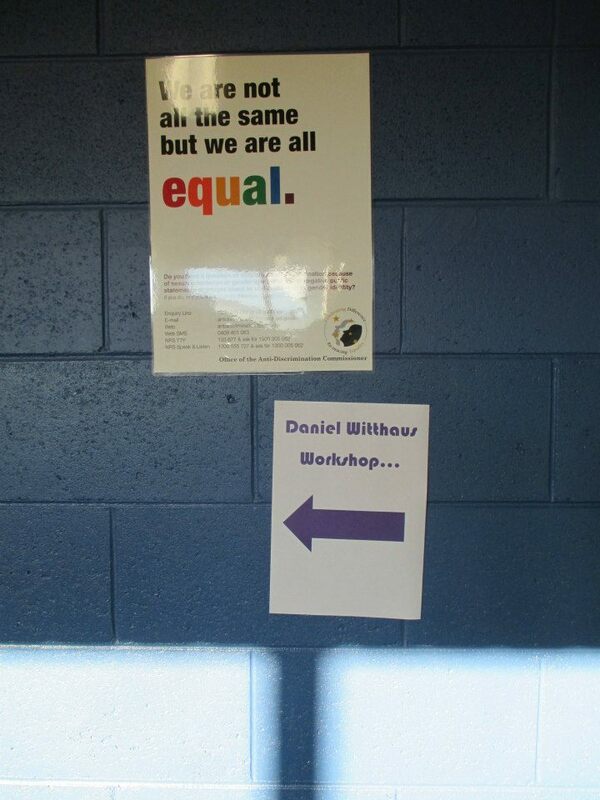 On Monday 1st September, Daniel travelled north to Brisbane to speak to the ‘Safe Queensland Schools for LGBTIQ students’ Action Group, hosted by the Queensland Teachers’ Union. 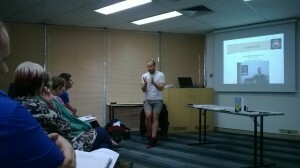 Teachers, health professionals and LGBTIQ locals came from across SE Queensland, including Ipswich and the Gold Coast, to hear what could be done to better support LGBTI young people and to challenge everyday homophobia. This entry was posted in Uncategorized on November 4, 2014 by Dan. 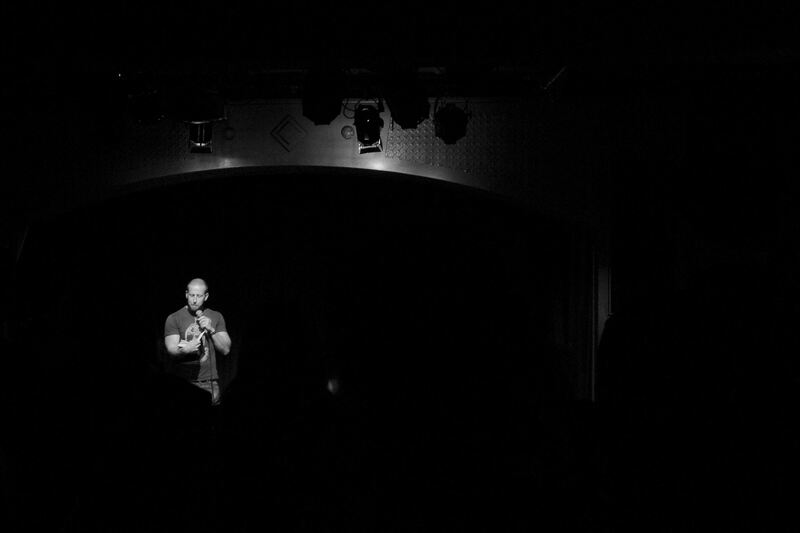 On Saturday 30th August, Daniel was excited to join the stage with MC Benjamin Law to read from Beyond Priscilla. He was also excited to meet and chat with Sophie Cunningham, amongst others, to compare notes on compiling accounts using people’s own narratives. 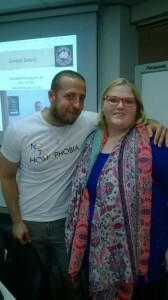 On Thursday 28th August, Daniel braved the thick fog on the outskirts of Melbourne to keynote the Cardinia Shire & Taskforce LGBTI Forum for local teachers, health professionals and homophobia-curious others. 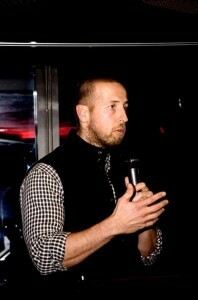 Also presenting was LGBTI sporting personality, Jason Ball. 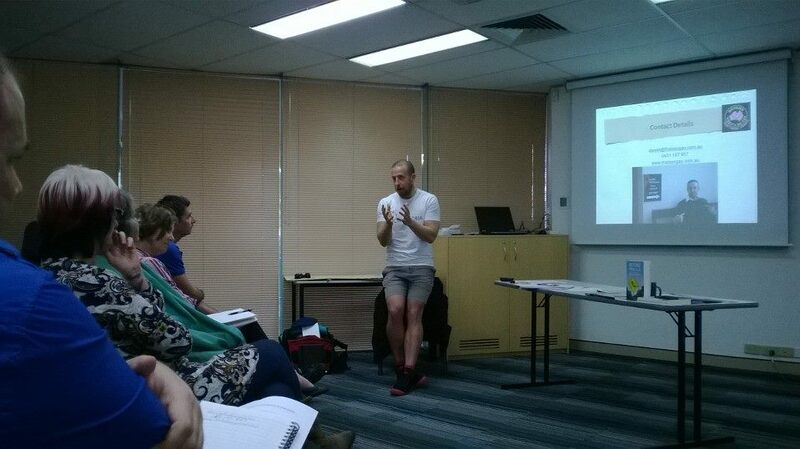 Safe Schools Coalition Victoria then helped facilitate brainstorming sessions about what could be done locally. 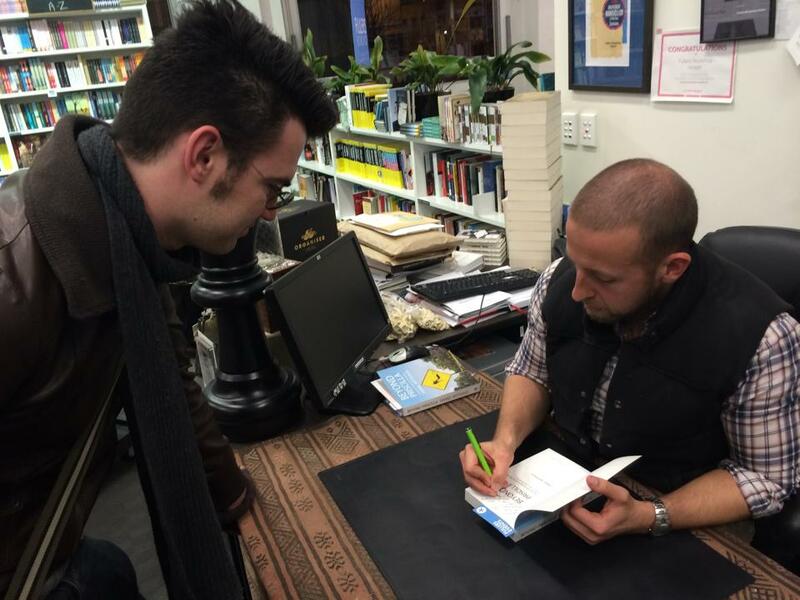 On Thursday 14th August Daniel was joined by 55 locals at Fullers Bookshop, Hobart, for a reading and signing of Beyond Priscilla. After an opening address by Tasmania’s most famous LGBTI activist, Rodney Croome, Daniel shared a few sections of his tales from across regional, rural and remote Australia. In mid-August 2014, the National Institute for Challenging Homophobia Education (NICHE) partnered with Relationships Australia Tasmania (RA Tas) to provide a week of opportunities for educators, health professionals and homophobia-curious others. 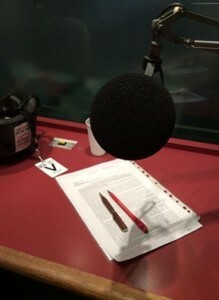 The Tasmanian Gay and Lesbian Rights Group (TGLRG) and Australian Marriage Equality (AME) also worked with NICHE to promote its visit in the media and create further meetings. 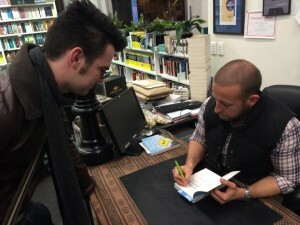 - A book reading of Beyond Priscilla at Fullers Bookshop in Hobart (55). The NICHE visit to Tasmania saw direct contact with 395 people. 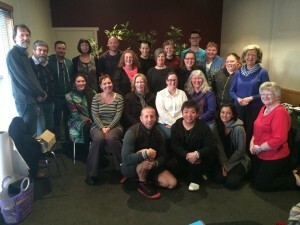 Those that came into contact with NICHE over this week were not dissimilar to those around the country in regional, rural and remote Australia: they invariably said it was “about bloody time” that LGBTI issues were addressed in their part of Tasmania. 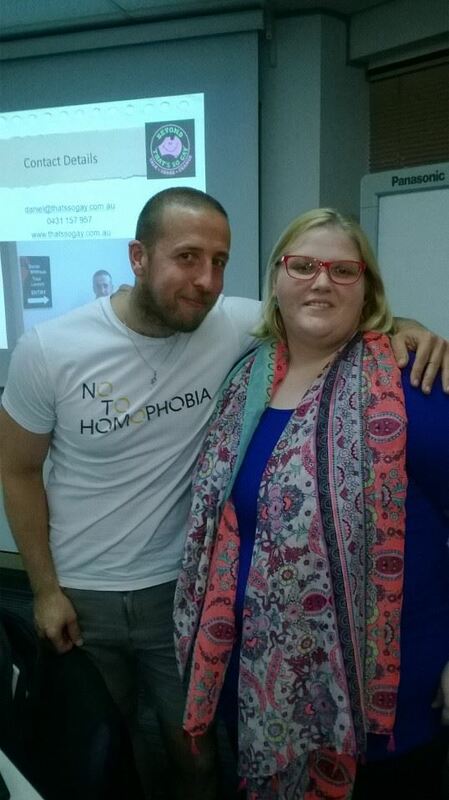 More often than not, participants did not need much convincing that there was an opportunity to better support LGBTI people as part of their role, and there was an eagerness to find out what practical tools and strategies worked best. After the meeting finished, a local health professional approached to discuss the presentation. That young man’s voice cracked and his eyes filled with tears. 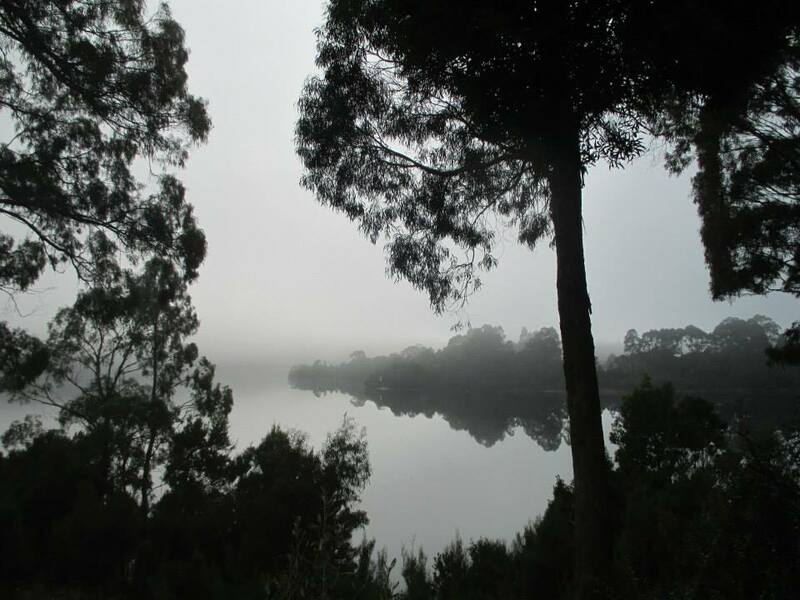 Note: a comprehensive document outlining feedback from various participants has been collated by Sharon Jones, LGBTI Suicide Prevention Project Officer for the (Northern Tasmania), RA Tas. After discussions during and after NICHE’s Tasmanian visit with RA Tas’s LGBTI Suicide Prevention Project Officer North, Sharon Jones, there appears to extend the partnership with RA Tas, in order to work on both the West and East Coasts. 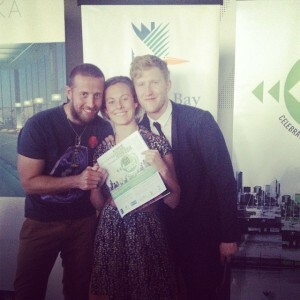 This would involve a three-stage project with minimal investment required. What: One-week visit by NICHE and RA Tas to the West and East Coast, to provide presentations, basic professional development, secondary consultations and to map services, safety and partnership opportunities. What: One-week follow-up visit by NICHE and RA Tas to the West and East Coast, to provide opportunities to build on the capacity of those two areas and provide more in-depth professional development and partnership development. 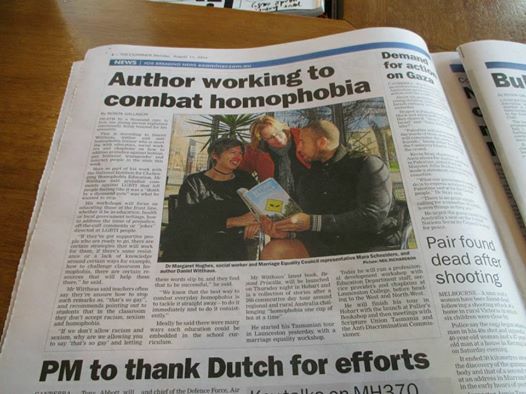 - the ‘oi!’ challenging homophobia campaign that NICHE launched on IDAHO(BIT) 2014. 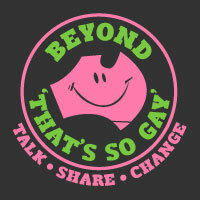 Tasmanian Gay and Lesbian Rights Group/Australian Marriage Equality, especially the expertise, local knowledge and reputation of Rodney Croome. 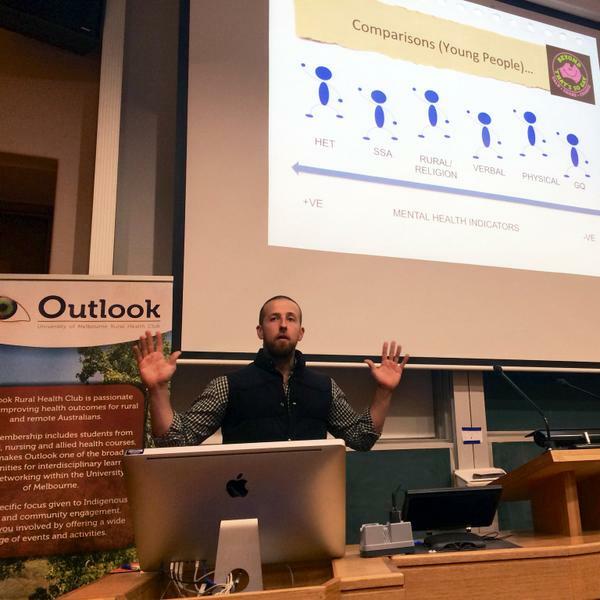 On Friday 8th August, Daniel joined Dr Vincent Cornelisse at the University of Melbourne in a lecture for rural medical students and the University’s LGBTI students. 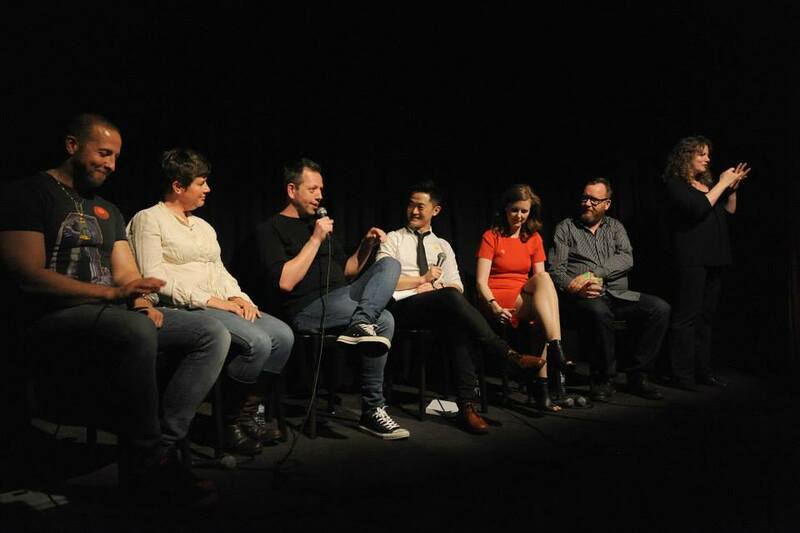 The aim was to share their experiences about rural LGBTI people’s health, as well as what LGBTI doctors and other health professionals themselves say about living, working and recreating in regional, rural and remote Australia. The lecture was well attended, considering the Friday evening time-slot just before a popular student party, and was organised by AMSA, the Australian Medical Students’ Association, recognising a significant gap in a sexual health short course. Thanks also to the rural health club, Outlook (who are thanked for this photo). 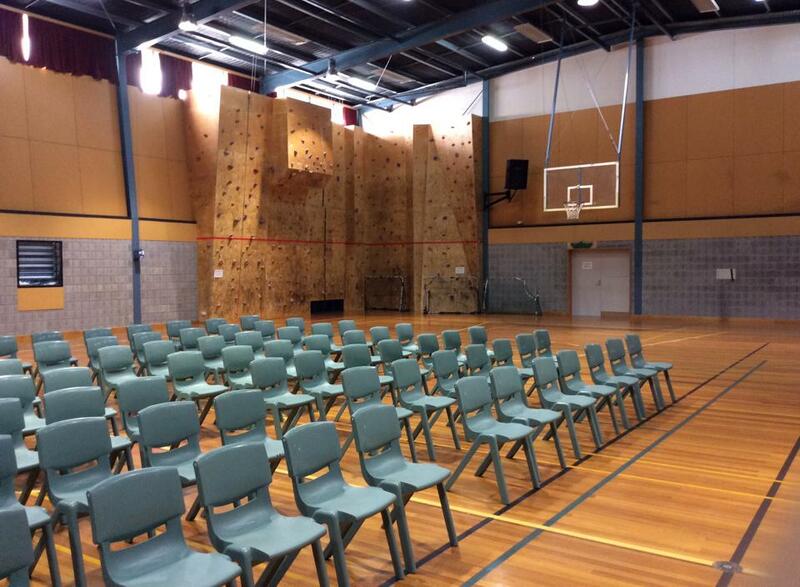 Ahead of his one-week visit to Tasmania, Daniel spoke to ABC Hobart’s Helen Shields about the recent sacking of a Tasmanian school chaplain due to homophobic posts on social media site, Facebook. 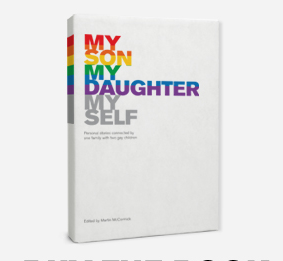 Daniel was honoured to help Irish-born, Australian resident, Martin McCormick, launch his father’s book, ‘My Son, My Daughter, Myself’ on Wednesday 6th August. The 89th floor of Melbourne’s Eureka Tower was packed for the culmination of many years of work by Peter McCormick and, in subsequent years, his son Martin. Written following the coming out of both his son and daughter in southern Ireland, Peter McCormick wanted only to help other parents find support (he himself could not find support locally). ‘My Son, My Daughter, Myself’ is a collection of letters and essays from Peter’s family, friends and associates, and is the first that Daniel can recall coming from such a wide range of perspectives about the same family.